The global economy seems trapped in a “death spiral” that could lead to further weakness in oil prices, recession and a serious equity bear market, Citi strategists have warned. “The death spiral is in nobody’s interest. Rational behavior, most likely, will prevail,” he said in the report. Stubbs added that policymakers would likely attempt to “regain credibility” in the coming weeks and months. “This is fundamental to avoiding a proper/full global recession and dangerous disorder across financial markets. The stakes are high, perhaps higher than they have ever been in the post-World War II era,” he said. Just 151,000 new jobs were created in January in the U.S., in the latest sign that the world’s biggest economy is slowing. Economists are concerned about an industrial or manufacturing recession in the country, following some warnings from companies in earnings seasons and recent weak manufacturing activity and durable goods orders data. It was just yesterday when we documented the continuing slide in the loonie, which is suffering mightily in the face of oil’s inexorable decline. As regular readers are no doubt acutely aware, Canada is struggling through a dramatic economic adjustment, especially in Alberta, the heart of the country’s oil patch. Amid the ongoing crude carnage the province has seen soaring property crime, rising food bank usage and, sadly, elevated suicide rates, as Albertans struggle to comprehend how things up north could have gone south (so to speak) so quickly. The plunging loonie “can only serve to worsen the death of the ‘Canadian Dream’” we said on Tuesday. As it turns out, we were exactly right. The currency’s decline is having a pronounced effect on Canadians’ grocery bills. As Bloomberg reminds us, Canada imports around 80% of its fresh fruits and vegetables. When the loonie slides, prices for those goods soar. “With lower-income households tending to spend a larger portion of income on food, this side effect of a soft currency brings them the most acute stress,” Bloomberg continues. Of course with the layoffs piling up, you can expect more households to fall into the “lower-income” category where they will have to fight to afford things like $3 cucumbers, $8 cauliflower, and $15 Frosted Flakes. Have a look at the following tweets which underscore just how bad it is in Canada’s grocery aisles. Financial markets worldwide are in free fall the first week of 2016. Last Thursday, New Years Eve the Dow was down 179, a prelude to the start of the new year. Monday, the first day of 2016, the Dow was slammed lower by 276, a calmer day followed on Tuesday with the Dow rising a mere 10 points. The carnage returned Wednesday as the market sank another 251 points. As I type at 2:30 on Thursday the market losses are accelerating with the Dow down 360 points. That’s a decline of 1056 points in one week (6%). Now is the time (actually last week) to get into a safe place. The risk of a major market meltdown circa 2008 is growing by the day. 2016 is going to be one for the books……in many ways. Tip of the day: Do not have significant funds in any major bank (if they have a commercial on national TV or have a stadium named after them). Get out while you still can. Here are some scary charts. 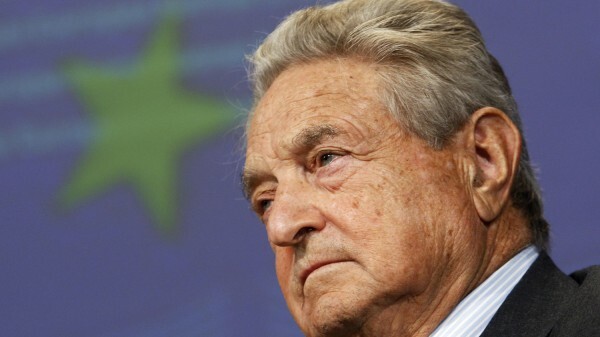 Billionaire financier George Soros is warning of an impending financial markets crisis as investors around the world were roiled by turmoil in China trade for the second time this week. Speaking at an economic forum in Sri Lanka’s capital, Colombo, he told an audience that China is struggling to find a new growth model and its currency devaluation is transferring problems to the rest of the world, according to media. He added that a return to rising interest rates was proving difficult for the developing world. China’s CSI 300 tumbled more than 7 percent in early trade Thursday, again triggering the market’s circuit breaker. As well as roiling sentiment across Asia, it also battered European risk assets with the German DAX down 3.5 percent at 11 a.m. London time. U.S. stock index futures also indicated a sharply lower open as investors focused on China’s swooning currency and economic slowdown. China, the biggest economic story of the last 30 years, has soured in the eyes of many analysts. A stock market crash that began in the country last summer has thrown the vast difficulties officials are now facing into sharp relief. A raft of data has disappointed in recent months as the country’s leaders refocus the economy on consumption from manufacturing. The findings are strikingly similar to two other reports, one by the U.S. Federal Reserve survey of more than 4,000 adults released in 2014. “Savings are depleted for many households after the recession,” it found. Among those who had savings prior to 2008, 57% said they’d used up some or all of their savings in the Great Recession and its aftermath. And another survey of 1,000 adults released last year by personal finance website GOBankingRates.com found that most Americans (62%) have less than $1,000 in their savings account (although that doesn’t include retirement or other investment accounts). Why aren’t people saving? Millions of Americans are struggling with student loans, medical bills and other debts, says Andrew Meadows, a San Francisco-based producer of “Broken Eggs,” a documentary about retirement. Central bankers hiked their short-term interest rate target last month to a range of 0.25% to 0.50% from near-zero, but that’s still a small return for savings left in bank accounts. Indeed, personal savings rates as a percentage of disposable income dropped from 11% in December 2012 to 4.6% in August 2015, according to the Bureau of Economic Analysis, and now hover at 5.5%.